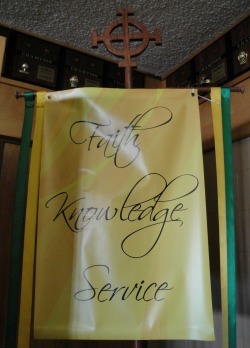 Archbishop Bergan Catholic School exists to instill a passion, as exemplified by Christ, for faith, knowledge and service. Archbishop Bergan Catholic School provides an exemplary Christ-centered education that develops the whole child through service, active learning and innovative instruction in order to achieve high expectations in a global community. 1913- St. Patrick’s elementary school started. It was a four story building on the corner of 4th and Union Streets. The top story of the building was the Dominican Sisters of Kentucky living quarters. The original cost of the building was $25,000. 1941- School Sisters of St. Francis take charge of the elementary school. 1949- New gym-auditorium completed at a cost of $105,000. 1950- The first Catholic High School in Fremont, St. Patrick’s, was constructed at a cost of $135,000. Men of the parish worked continuously for six days and five nights to complete construction of the building on Union Street between 4th and 5th Streets. 1951- In the spring, the first graduating class of St. Patrick’s receives their diplomas. 1960- High School becomes Archbishop Bergan High School, named after the then current Archbishop Gerald Thomas Bergan, Archbishop of the Omaha Archdiocese. Elementary school continues to be called St. Patrick’s, and has an enrollment of 730 children. 1961- First graduating class of Archbishop Bergan High School. 1965- More classroom and office space added to the Bergan Building. 1975- St. Patrick’s elementary school closed due to a variety of causes, chiefly among them, however, was growing debt. Former elementary school was reduced from four stories to two, and interior was remodeled into the current Community Center. 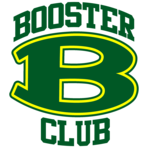 1983- Grades 7 and 8 moved from former high school building to Archbishop Bergan High School building. 1998- Former St. Patrick High School building renovated at a cost of $260,000. A 6th grade was added, created a middle school with grades 6 and 7 located in the building. The building was named Msgr. Flynn Education Center in memory of former Msgr. John Flynn, the first superintendant of Archbishop Bergan High School. The middle school and high school systems were named Archbishop Bergan Catholic School. 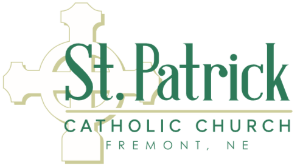 2001- New St. Patrick’s church, located at 3400 East 16th Street, opens. 2002- 45 students from the graduating class of Archbishop Bergan High School becomes the first class to hold their graduation ceremony in the new St. Patrick’s church. 2006- Community Center remodeled to include a preschool. In the fall, the preschool opened, serving children ages 3-5. 2007- In March, Archbishop granted approval to open an elementary school in Fremont. Decision was made to open a kindergarten and first grade in the Flynn Center in the fall. Preschool operates at capacity level at 56 children. 2008- Groundbreaking and construction started in the fall on new preschool through fifth grade building, located across the street, to the south, of St. Patrick’s church. Second and third grades added to the Flynn Center. 2009- Fourth grade added to the Flynn Center. Elementary facility completed in December. 2010- In January, preschool through fourth grade moved into the new elementary building. In the fall, the fifth grade was also added to the new elementary school, completing the preschool through twelfth grade Archbishop Bergan Catholic School system. 2011- Sixth grade moved from the Archbishop Bergan building to the new elementary building. 2016 - Archbishop Bergan Catholic School opens Early Childhood Education Center in the Saint Patrick's Community Center. This program is designed to serve students ages three through five years with daycare and Little Knights Preschool. Pre-kindergarten was added to the Elementary program.